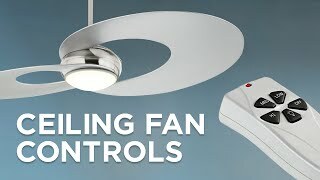 Easily control this flushmount LED ceiling fan in white with the included full function hand held remote control. This white finish ceiling fan is ideal for low-ceiling applications. 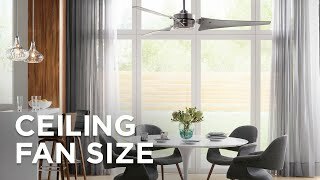 From the Minka Aire ceiling fans collection, the 52" Concept II flushmount fan has a contemporary look, and includes a full function hand-held remote control, making it easy to control. 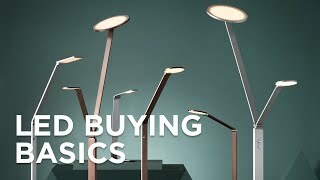 It features an integrated white opal glass LED light that allows for ambient lighting. Includes cap for non-light use. Fit the bill with what I needed, mostly choice was made by customer comments. We had purchased it before, have since moved, had to replace existing fans that came with the property. I loved this fan in our old place. I like the look but what I like the best about this fan is how quiet it is. I needed a simple flush mount ceiling fan and this fit the bill. The remote is a bonus. I know people who have this fan in their house. ALL REVIEWS TALKED ABOUT QUIET! For son's house. He picked it out. what is the diameter of the fan cover attached to the ceiling? BEST ANSWER: They appear to be about 9-inches in diameter at the ceiling. They are installed so hard to tell for certain. Looks about like the size of a dinner plate. Love the fan...so quiet and great looking ! BEST ANSWER: Hi - Yes, it is dimmable with the included hand-held remote control. My fan is an older model with a halogen bulb. How do I replace it? I can't remove the glass cover. BEST ANSWER: Hi, to remove the glass you need to turn it counter clockwise. My Minka fan uses halogen bulbs. There’s a 100 watt I. There now. Can is use a 150 or 200w bulb instead? BEST ANSWER: No - the maximum is 100 watts. Our fan uses a halogen bulb. What is the brightest that I can install? BEST ANSWER: The non-LED model uses a 100 watt halogen bulb which I have added below. Thank you. It is dim. Grr! My fan is older with an incandescent bulb. Can I substitute an led bulb? BEST ANSWER: Hi Mike - if your older model fan included an incandescent bulb, that is the bulb that is recommended by the manufacturer to use. I changed all 7 of my fans to 4 watt led bulbs. Much like a night light, and for me good enough for almost everything else. I rarely turn on my other room lights. Is the wall control/switch included or does it need to be purchased separately? BEST ANSWER: The fan comes with a remote control included. However, there is an optional wall control sold separately that is compatible with this fan. If you prefer a wall control, we will need for you to call in and place the order over the phone. I use the wall for off and on ( original light switch) and make changes as needed with remote. Since most of the time my settings stay the same, the simple wall switch works for me. This simplified the electrical work. I love this fan. It looks great and runs superbly. 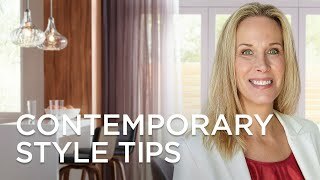 It has a clean, modern look without being obnoxiously contemporary, so it would definitely work well in a transitional decor setting. My only complaint as that after hours of fooling with it, my husband still can't get it to sit completely flush up against the ceiling. There is about a half inch gap (see photo). It doesn't affect the function of the fan (no wobbling), but I just don't like the way the little gap looks. Otherwise, everything is perfect. Best fan I've ever experienced. Extremely powerful air movement, cools the room exceptionally well. Quiet, with the only noise being the whooshing sound of air through the blades. 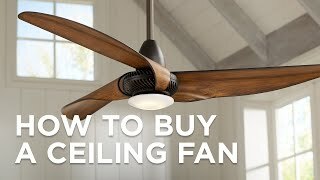 One word of warning: this fan is extremely heavy, you'll need to mount a bar or something similar in the ceiling to support the weight of it. Also, our contractor lifted the box in the ceiling so the fan lays flush to the ceiling, otherwise you'll have about a 1/2" gap or more between ceiling and fan. Amazed at how well it moves the air in the room in both upwards and downwards positions! Love how the light dims and how it helps to create a relaxing atmosphere in the room. I looked at the big box stores for a fan that had to be quiet, move air well and attractive. The selection was poor so i began my online search. I cannot say enough positive things about this fan. We purchased it for our bedroom so we could save a little on the air conditioner and boy is this the ticket. We have other fans in the house but nothing like this one.....I am a very light sleeper and this is so quiet it does not disturb me in the least. Our air condiitoner is getting some needed rest and folks who visit are happy that our home does not feel like a freezer when the stay. I have two of them and am thinking that I may buy a third for a bedroom because they are very quite and the only sound you hear is that of the air moving. 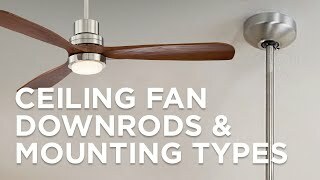 I like that it does not have a pull chain, but if you have this fan in rooms located close to one another, as a kitchen connected to a family room, you have to be mindful that the remote control may be operating the other room fan as well. I had this professionally installed so I have no idea how easy/hard it was. But the fan is great. It's quiet. It has a remote that is attractive. It doesn't beep. It doesn't wobble. The light is bright enough and it dims. It has 3 speeds and can change directions. And it doesn't take up too much space vertically, so it's great for low ceiling rooms. Really happy with it. Very easy installation. Blades snap into place. I wanted a clean contemporary look that isn't a "focus point" in the room and doesn't draw attention. I have a white ceiling and the white fan works very well. We are extremely happy with the purchase of this fan. My husband said it is the easiest fan he has ever installed. It is so quiet that we are able to sleep with it on all night. It looks beautiful in our bedroom. We plan to install them in our other rooms. We replaced two 80s oak fans that dropped way into the room with this ceiling hugger contemporary fan. It moves as much air as both of the old ones (the room is 18 * 25) and fits the redecorated room well. This is a perfect piece for modern decore. We have it in our bedroom where all our furinture has clean lines. It blends in nicely because its white. Creates great air circulation too. I love this. It is quiet and gives tons of air. The remote reverses the blades, changes the speed and turns on/dims the light. The blades are smooth with a hard coating. I originally got the house brand but it looked cheap. This item, made in California was so much better -- it justified the price. This one moves air well and is so quiet! We purchased two of them (1 for each child's room), and they work well in either a boy or a girl's room. They almost fade into the ceiling. I was concerned they'd be too modern, but they're not. They go nicely in a traditional setting, too, with a somewhat modern flair to them. We bought the wall-mounted switches, because we didn't want our kids losing the hand-held remotes. As they get older, though, they can use either. The blades literally "snap" into the fan, no screws or power tools required. My husband was shocked at how the fan blades attached to the fan. We love Minka Aire and keep on buying these things through all our moves. This is the second one I have purchased and installed myself. The second one had the receiver mounted in the housing with electical connections complete. Made this installation much easier and quicker. NICE IMPROVEMENT! Highly recommended. Love the fan. sunroom-all glass-enclosed. It is just perfect-the style will adapt to most decors easily. Bought this at Lamps Plus, an excellent retailer with great service. This fan is the bomb! After looking at several lamp stores and home project centers, I decided to go online and found this fan/light. I read all the comments about it from satisfied buyers, and it looked perfect for our new kitchen/family room. I was not disappointed! It was quickly and easily installed by our contractor. I love everything about this fan. It is quiet, the remote control is a great feature, and the light with dimmer is perfect for when we need additional overhead lighting. This is my second purchase from Lamps Plus and I would definitely use this online retailer again. Fan was a great purchase. A Great Purchase. Looks good, works well, and is quiet enough to sleep thru the night with it on. I have installed several fans over the years. This by far was the eaiest.. This is a heavy fan and requires an electrical box for ceiling fans. is a very clever idea. Let me say first, that I'm very pleased with this fan/ light. It's very quiet! Only got 4 stars because I received it with the wrong size globe and missing the blade hook. Also didn't include instructions. I must say customer service was very helpful, but I'm still waiting for correct globe to come. It's been 6 weeks. I love the look with our new furniture. Fast shipping and delivery easy to track. Customer service very helpful and responsive. I bought this for the blade pitch. I own a house on Cape Cod with no a/c. 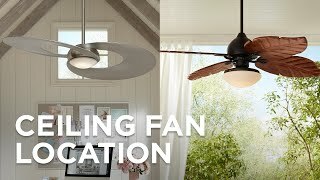 It has to be a ceiling hugger fan, so this is what I chose, but I really don't like the blades being plastic, I am sure the reason being it is an indoor/outdoor fan. It is a heavy look also, but the fan works great so far. It has only been in for a week and it is not fan-using season yet. I will add onto this later if I remember. This fan is fantastic! It has a sleek, modern look and it is such an upgrade over the older style of ceiling fan. Having it all in one sleek, simple piece is great. It is quiet, yet has three speeds and can reverse. Great light output. We want to replace our other fans with this specific model now too. Great quality and ease of installation and use. have 6 of them whirling in my home. easy installation, very clean look, quiet, and most important it does its job. We arranged for installation through Lamps Plus. Installer arrived on time [called in advance to confirm arrival]. Very professional! This fan replaced an old grandma style fan that hung down 26 inches in my bedroom. I can't say enough about it - unlike previous ceiling fans I've had, it's whisper quiet, it doesn't wobble, and it has a certain sense of midcentury style. Already ordered a second for the den, and plan to get two more for the second and third bedrooms. Love this fan! It generates so much air circulation even on the lowest setting! We had it installed in our master bedroom. So very quiet. Would definitely recommend. Minka Aire makes great fans! Cools the room nicely and love the remote! I don't hear any noise when the fan is running. Easy to install. Light can be dimmed. Wish the remote holder can cover an existing switch plate and as white as switch plate. I want one in every room. I installed this myself with no problems.Works great in our low ceiling living room. The white seems to blend with the ceiling so it doesn't seem to take up any room. We love the dimmer function.With the remote control there are no chains hanging down. I'd like to put one in all of the bedrooms now. I use it to cool off the room at night for sleeping. Only disadvantage is the light is not strong enough to read by, so we need night table lamps as well.